We live in a world that’s constantly changing and change can be quite uncertain or frightening. However, it is essential in order to thrive in business. We live in a world that’s constantly changing and change can be quite uncertain or frightening. However, it is essential in order to thrive in business. It has even been commonly observed that businesses who are open to change are more likely to succeed than those who don't. POS is very expensive: Prices of several pos varies, while the price is an important factor and expensive is relative and based on your business; it shouldn't be the main factor when looking for a POS to add value to your business. For a small business, you don't need to spend thousands to get a decent software. If you search closely, you would find a lot of Cost-effective POS software that would fit your business needs and is within your budget so do not be deceived by this myth. There is POS software that offers different payment plans to suit your type of business whether it's a big retail business or a small business store, a very good example of such POS is Prognostore. Your data is not secure: While this could be true for some POS software, it is important to be on the lookout and search for a great POS which has a good cloud provider that offers a secure data encryption which is basically the best because that way all your data is protected. When the data is encrypted, access to the actual text or information hidden behind the encryption is limited to only authorized parties. You might also be wondering; How about in the case of an accident or theft? Don't you worry, these things can happen sometimes to any business owner. Just ensure that you do your research on the POS software that are cloud providers, that way it can host off-site servers for your data which are monitored against outsiders and protected away from employees. POS systems are complex: This is another common myth that tends to scare away business owners from purchasing a POS system. Just like several gadgets and devices, not all POS are the same. Many vary in their features, functionality and their system designs. It is now left to you to do your research on the perfect point of sale system that would be easy to use for you, help with faster transactions, reduce errors and training requirements. 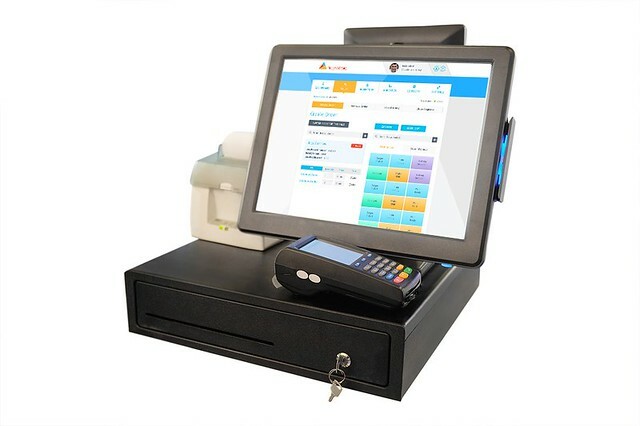 When purchasing these POS systems, you need to ensure that it is user-friendly and that whenever you are stuck you can always reach out to the provider or customer support to put you through training and resources to help you. Having listed those major myths, here are some facts that would make you consider getting a POS software for your business if you own a retail store, supermarket, boutique, restaurant or small business. Ability to access your data and records from anywhere: This is the beauty of a cloud-based POS system which is what is commonly used nowadays. With this, you are able to monitor and access your business information from anywhere you are as long as you have an internet connection. No need for price tags: If you own a retail business, one of the most compelling and interesting facts about using a POS system is that it does away with the need for price tags. This is simply because the prices are linked to the product code or barcode when initially inputting an item into the stock. After this is done, all the salesperson needs to do is scan this code to process a sale. Ability to add discounts: With a POS system, you can easily add discounts to any sale that needs to be made. This is more efficient than manually adding discounts because this way you can monitor the particular item or product that was discounted. Ultimately, A Point of Sale system helps your business to identify the gap so you can manage or plan new strategies to help grow your business. So if you have been having doubts about getting a POS software, I hope this article helps you to make up your mind on getting the right one that suits your business needs.